Well back in the saddle again after the long Easter weekend. 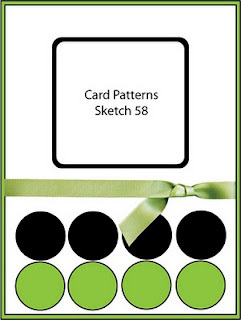 Here is my entry for Card Patterns Sketch 58. Prairie Fairy Digital Stamps is providing the winner with 5 digital images this week. 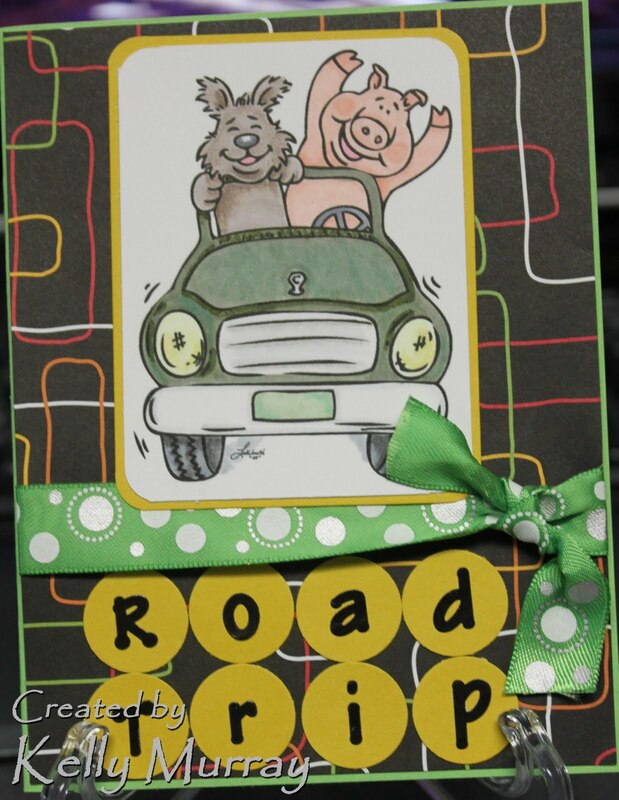 This cute little image Road Trip is just one of many images to be found. Make sure you enter and better yet make sure you check out all of the digital images you have a chance to win. Kelly wow, you're always thinking outside the box. What a great idea to do letters in the circles, fabulous card!!!! Too cute Kelly! Love it! adorable card! i love that ribbon girl! hugs! 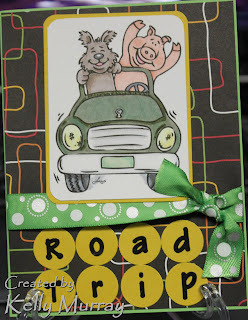 Super fun card Kelly and good thought of using the letters at the bottom!! Oh Kelly this is sooo fun! Love the colors and that image. Thanks for playing along with us on Card Patterns this week.